We astrologers are often asked about the significance of various moon phases and moon phenomena. When a special moon phase approaches, like a blue moon, lunar eclipse, equinox moon etc., social media buzzes with fantastic predictions. For example: âThe equinox full moon in Sagittarius will trigger a major shift in human consciousnessâ. Or the recent solar eclipse, that was supposed to cause a collective planetary awakening of sorts. It always puzzles me, that after each âsignificantâ moon phase, people donât wonder about the fact that nothing happened. They didnât wake up different. If they did, itâd be because of other factors. Still some astrologers will say that something amazing will happen next time a special moon phase is announced. This moon hype gives astrology a bad name, and Iâd like to explain a few things about it. Astronomically these moon phases may be rare and spectacular, but astrologically the movement of the moon has little significance, both collectively and individually. Itâs not to be confused with the fixed moon position in the birth chart. That is an extremely important factor, but the transits of the moon are not. First, because the moon moves very quickly. It only remains in the same spot for a few hours. Itâs not even full moon at the same time all over the planet. The moon stays two and a half days in each sign. It takes the moon about 28-29 days to complete a full cycle (which is equal to the menstrual cycle it also represents). So, the moon has to do with short cycles. The moon deals with our moods. Itâs a feminine celestial body representing feelings and emotions, those we are aware of as well as those hidden in our unconscious. As the moon hurtles through the different signs, our moods change. Obviously, instability is the very nature of our moods. One moment weâre excited and the next weâre melancholic. It never lasts very long, and rarely has much significance. Within 29 days, weâve pretty much experienced all the different moods, as the moon passed the different planets in our birth chart. Letâs compare the transits of the moon to the planets that have tremendous transformative potential- Saturn, Pluto, Uranus and Neptune. Saturn takes 29 years to complete a cycle. Pluto takes 248 years. That means when Pluto hits a significant spot in your chart, it remains there for a few years. Anybody who has experienced a Pluto transit knows how deeply it transforms us. When Saturn hits a vital spot, it remains there for 8-10 months. Enough to trigger significant changes in our lives. Itâs not that the transits of the moon have no significance at all. The moon works as a trigger. It will stir existing feelings and emotions, that we werenât aware of or have repressed. Unexpressed feelings which have been building up for days, weeks or months can suddenly find their release during moon transits. We cry, get angry, fill up with love/hate or just kind of lose it. Thatâs also why police and ambulance staff around the world report extra activity during full moons. Peopleâs moods are triggered and we get in the grip of passions. Weâre moonstruck. Moods and feelings come and go as fast as the moon moves. The planets that bring about real and lasting transformation, are Saturn and the outer planets. Next time there is a spectacular moon phase, go outside and enjoy its splendor, but donât expect the world to wake up different. Tarit, resident of PachaMama, began studying astrology some 30 years ago with the intention of proving it to be superstitious nonsense. 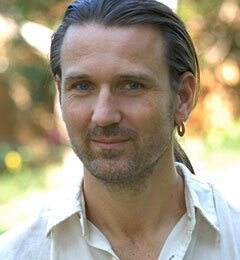 The study led him to become a passionate and professional astrologer with a world-wide clientele.